​A new patch was added to the PLAYERUNKNONW'S BATTLEGROUNDS Public Test Server in Update 27. Among the changes is the new MP5K weapon, which will be exclusive to Vikendi. 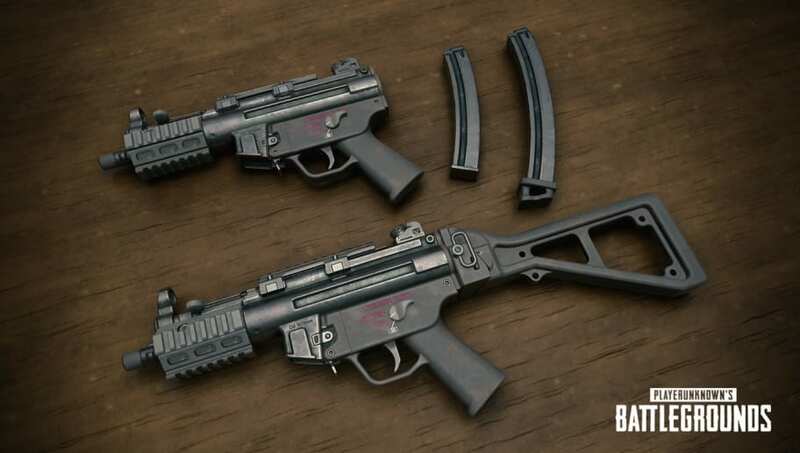 ​​​PUBG Corp added Update 27 to the PUBG PTS, highlighted by the addition of the MP5K weapon. It is a sub-machine gun with 9mm ammunition. The MP5K will replace the Vector on Vikendi. "While the firing mechanics of the MP5K are similar to those of the Vector, it boasts a higher per bullet damage, but with a lower overall firing rate and DPS," the post read. "This SMG also has a higher magazine capacity than the Vector, starting at 30 rounds by default with 40 rounds in an extended magazine." The MP5K can take various attachments, like grips, scopes, different types of magazines, and more. It has a base damage value of 33.